Published September 30, 2015 at 240 × 308 in Trees. 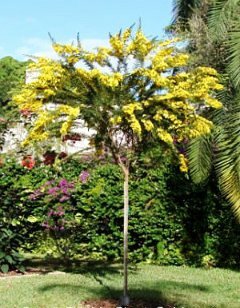 Desert Cassia – small 10 ft, feathery yellow flowers, attracts butterflies. Difficult to source so alternative is Bulnesia (aka Verawood). Exists on Bay Rd just south of Lincoln.